I have three main motives for my love of crock pot cooking. I’m easily distracted, which can lead to burnt food when I’m cooking on the stove top. With a slow cooker, I don’t have to worry about that. I am an impatient cook when I am hungry. Slow cooking allows me to prepare a meal after breakfast or lunch when I am in no hurry to eat. By the time dinnertime rolls around, the meal is ready without me having to do any cranky cooking. It has such potential for simplicity. Throw everything in a pot, turn it on, and voila! a few hours later you have a meal. Of course, a lot of slow cooker recipes are anything but simple. They call for you to brown meat, saute onions, and do a myriad of other preparatory steps that involve dirtying a lot of dishes before you even get out your crock pot. I’m glad to report that the experiment worked out wonderfully. 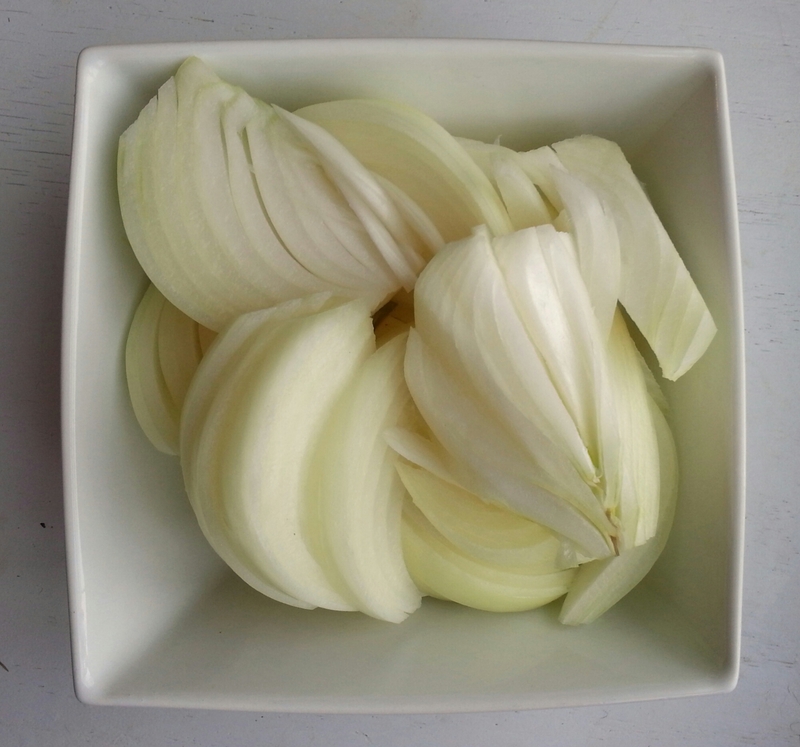 Over the first half hour, nothing much seemed to happen, but after about 2 hours had passed, the onions were clear and golden – exactly as I wanted them. As you can see from this picture, this is not the most attractive vegetable dish, but it is certainly delicious. You can turn on the wow factor by using red cabbage instead of white. Enough of my prose! Here’s the illustrated recipe. Core and chop the cabbage. I used a large chef’s knife, and removed only the toughest part of the core near the stem. 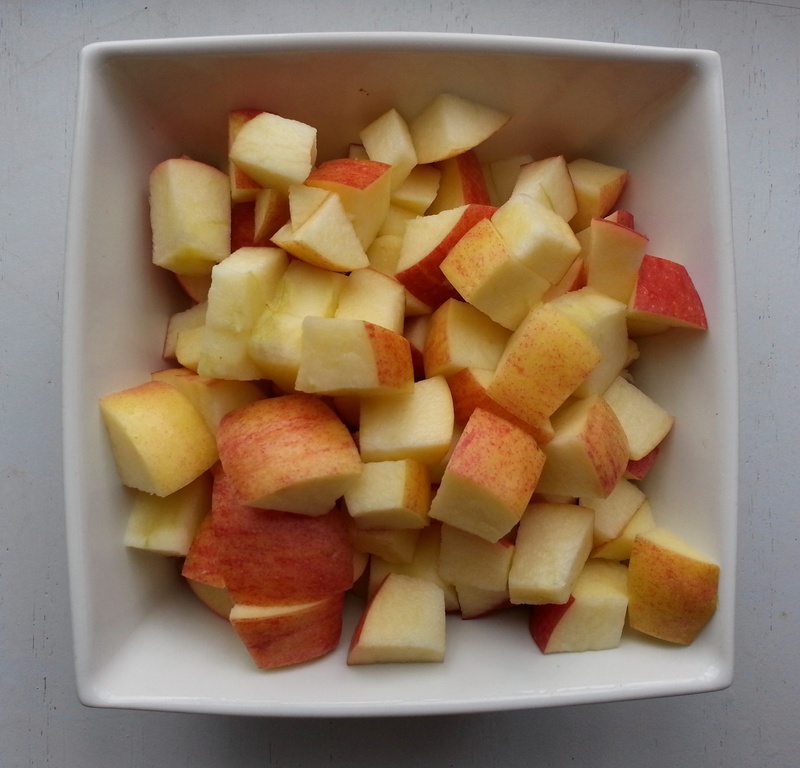 Chop the apples into bite sized chunks and remove the cores. Put the oil at the bottom of the crock pot, spreading it around until the pot bottom is covered. Add the onions, then the apples. Turn the crockpot to high and cook for 2 to 2½ hours, giving the onions and apples a quick stir once every 30 to 45 minutes. 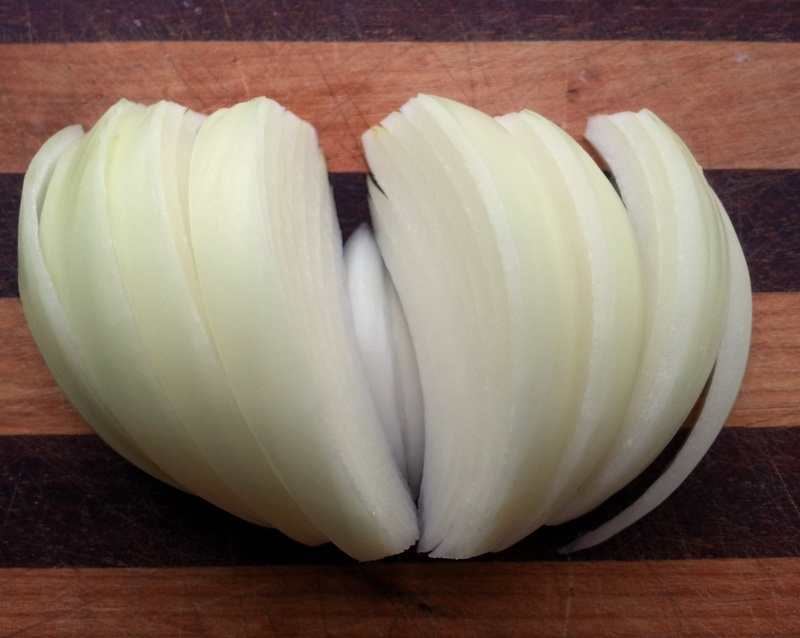 Try to keep the onions in the lower layer, but you needn’t be too fussy about it. 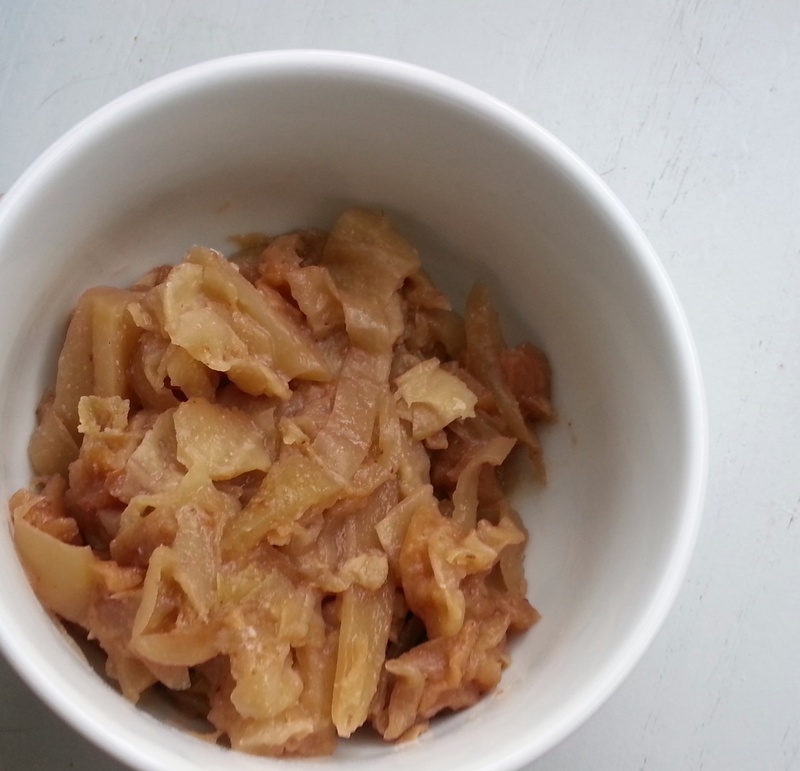 Stir in the cider, vinegar and applesauce. 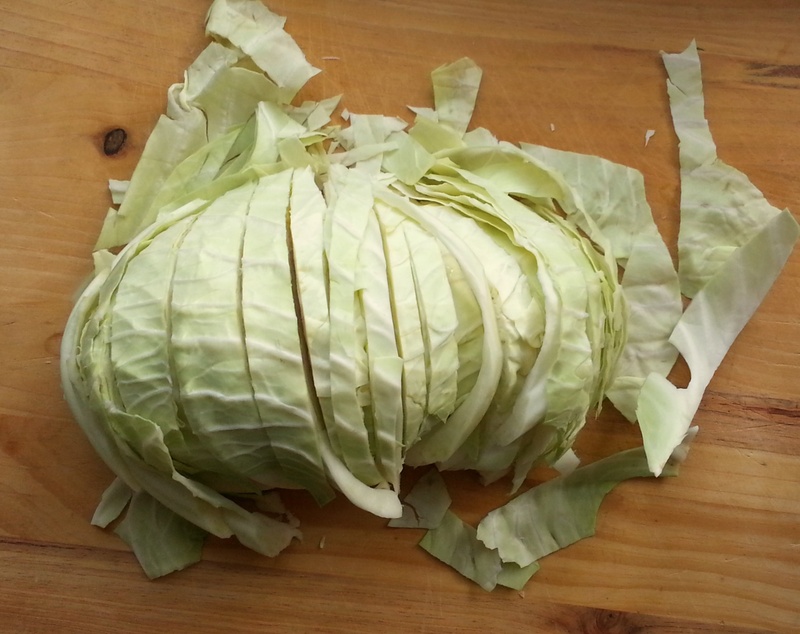 Then add the cabbage in a layer on top. Cook for another 2 to 2½ hours. If there’s a lot of liquid from the apples, crack the lid open for the final half hour or so to let some of it evaporate. Add salt and grated nutmeg to taste. Thank you for finding a solution to one of my biggest cooking peeves! If I have to do a bunch of stove top cooking before tossing everything in the crockpot, it kind of defeats the purpose of using the slow cooker. I guess the exception for me is when start soup or or chili too late in the day to wait for the crockpot to get them started, but that really benefit from slow cooking after the initial phase of cooking. And then, I can just refrigerate it in the crock when I go to bed, pull it out and put it on warm in the morning and have them warm for lunch, dinner, and snacks whenever we want. I'm glad it helped! It's definitely the type of thing that needs to be done when you're home -- you can't just plug it in and ignore it like with some slow cooker recipes -- but it's so much better than using two pans our cooking it in the stove, in my opinion. I love chili! I made a seven-bean one once that was so good. I should try it again! Clever recipe - i too love to slow cook but usually do so with meat based dishes.